The Heaphy Track was used by 19th-century gold miners walking from Golden Bay to the West Coast. By the early 20th century it was overgrown. 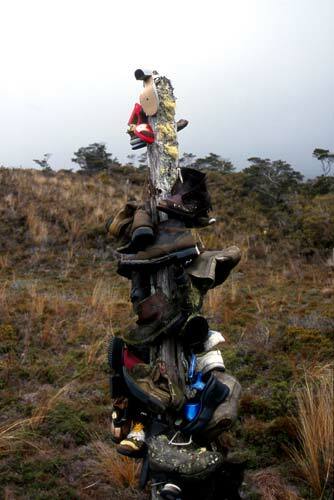 But from the 1970s there was a boom in recreational walking, and many of these older cross-country routes became popular – as this collection of abandoned boots suggests. Eventually the Heaphy became recognised as one of the country’s ‘Great Walks’.